In order to facilitate your selection of a suitable place for your next holidays, some characteristics of our campsite and its environment are mentioned below. Perhaps one of these points might be interesting for you. 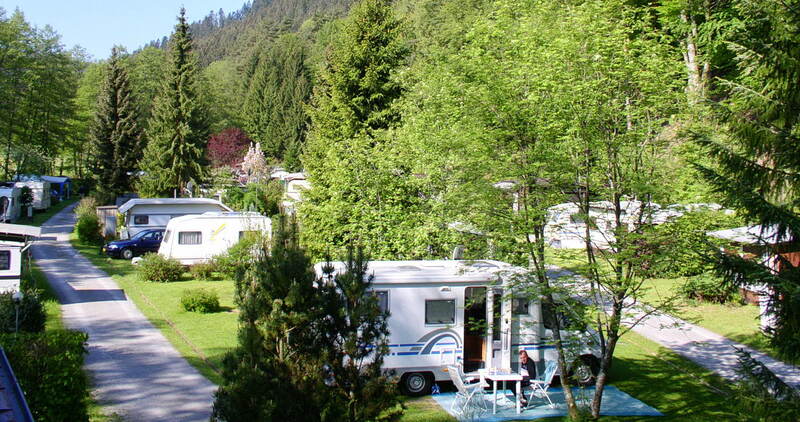 Camping Müllerwiese is a smaller campsite, that is directly surrounded by a lot of nature, wherefore you can get much peace and relaxation with us. Enjoy your holidays on a quiet campsite with family flair off the hustle and bustle. A loud road or a neighbouring railroad line is missing. Natural Wellness means interesting, attractive and pleasant things you may discover as our guest on the campsite Müllerwiese. Nature provides the healthy climate - clear, clean air that you breathe deeply on your hiking or cycling tour. Take a well earned rest before beginning the next tour by relaxing on a bench or soaking up the sun on warm rock while taking in the sounds of nature. Arrive stressed out - leave completely relaxed. 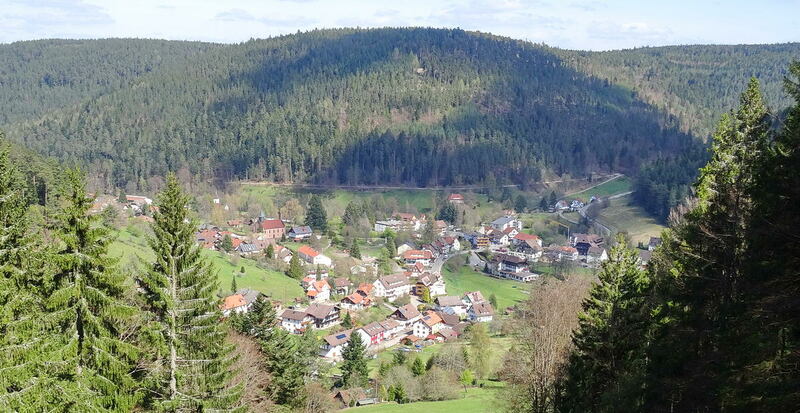 Have a look here on 15 Black Forest day trips. For our tent guests there is a car-free tent area in the summer, where no door slamming or car exhaust fumes can disturb the peace. There, children can play at the playground or at the small brook. The campsite and especially the car-free tent area is described in Cool Camping Europe. Despite its idyllic and calm situation our campsite is situated centrally within the blueberry-village Enzklösterle, which offers many advantages to you. The tourist office is only 200 m away and situated at the edge of the local spa gardens. As our guests you can participate in the whole leisure program of our climatic health resort Enzklösterle and also of the little town Bad Wildbad (12 km). During summer season there are multiple entertained events daily and even during low season several events like guided walks take place every week. Have a view of these events here or here. For the children on Camping Müllerwiese our resort offers also a lot during the summer months. In 0,2 - 2,0 km from the campsite there are a red deer park, a tree climbing park, the primeval forest of tomorrow with a circular nature trail and a large playground in the spa park. During the summer season nature studies at the nature-park information center Kaltenbronn (8 km) are on offer. We strongly advise you to try the breathtaking crazy golf course experience at the Adventure-Golfpark at Enzklösterle, to reach in 10 minutes on foot. A beer garden at the golfpark provides for the refreshment. A bakery (open 7 days in the week), a food store, a butcher´s shop, a beverage shop, a pharmacy, hairdresser's shops, a post office and the blueberry shop and lounge. This rich offer is at your's disposal naturally also outside of the high season. In a distance of 100 - 500 m from the campsite you will find 5 recommendable restaurants, some with beer gardens and sidewalk cafés. Every day you can choose from another menu. Would you like to go to church on Sunday? From the campsite Müllerwiese you are able to reach in 5 - 10 minutes on foot the protestant and the catholic church. On our campsite you can leave your car or motorcaravan untouched. As guests of Enzklösterle you are allowed to take the public service buses free of charge and drive through the entire Black Forest (bus stop 300 m from the campsite). Your whole family can reach this way for example the thermal sauna baths at Bad Wildbad (12 km) or the famous resort Freudenstadt (28 km) with its expanded market place. During the months April to June as well as September and October you will get a discount on the camping charges. Over 20% reduction in prices will probably be of interest to you. Please, have a look on our discount offers. For longer stays you are welcome to make a booking free of charge. New signposted are the hiking trails through, round and up our Enz-valley. 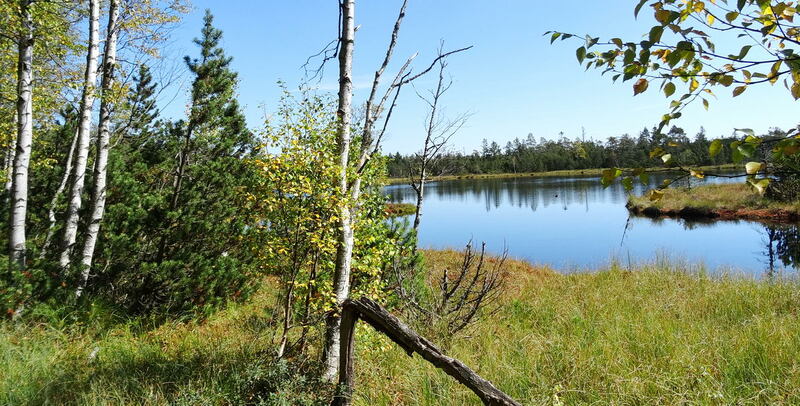 350 km you can walk on soft trails through the woods and you can enjoy the peaceful nature with crystal clear water sources, brooks, lakes, meadows and untouched moors. In the chapter Hiking you can download GPS-hiking-tracks for your GPS navigator. The surroundings of Enzklösterle have 800 km signposted mountainbike trails which are called the "Mountainbike Arena Murg-/Enzvalley". Marked circuits with different levels of difficulty are waiting for all nature-loving cyclists. Within the chapter Cycling you will find GPS-cycling-tracks to download for your GPS navigator. 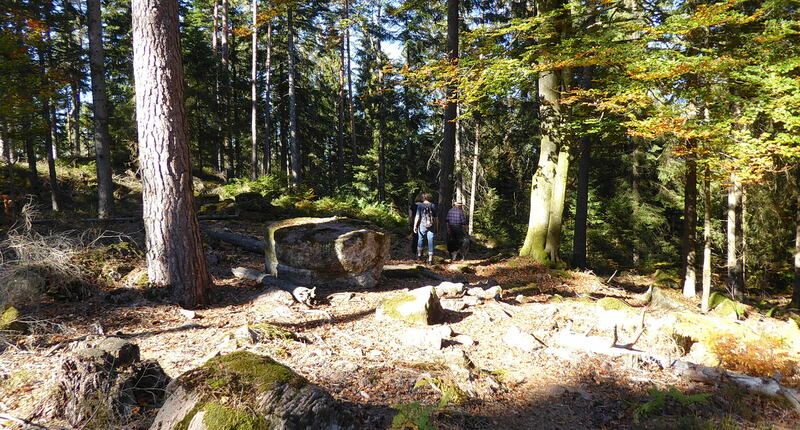 Nature lovers can experience something special in our region Northern Black Forest. The only national park in south-west Germany has opened its doors recently in January 2014. 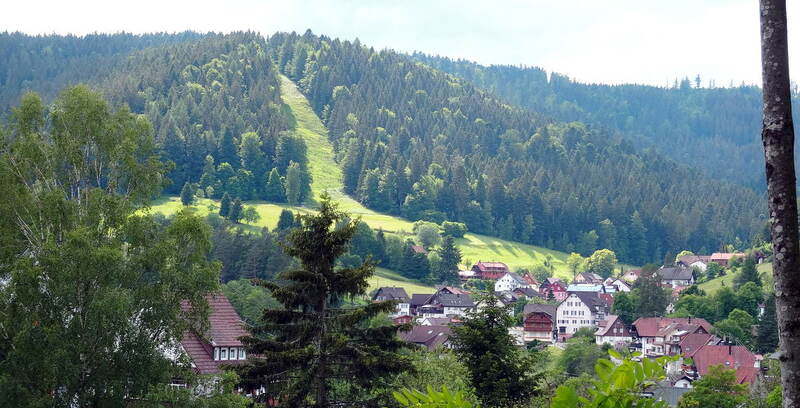 It is situated along the famous Black Forest Panoramic Road (Schwarzwald-Hochstrasse). 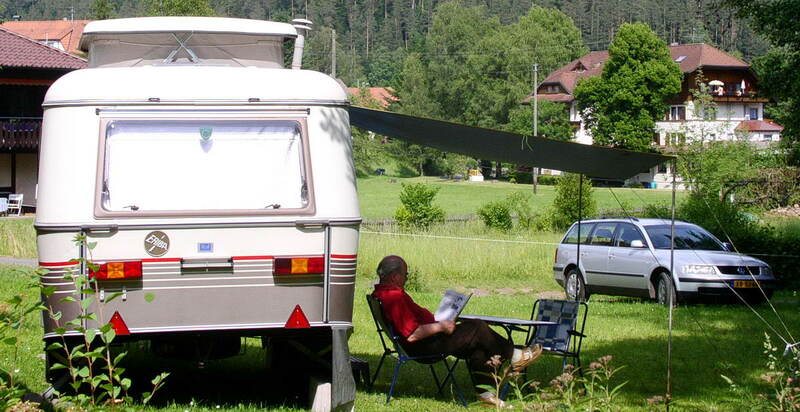 Our campsite is only 10 km air distance away from the Black Forest National Park border. It is to reach by car in 30-45 minutes. On the campsite Müllerwiese you are not situated somewhere in the "outback". It is true that you can enjoy the peace and the nature with us on the Müllerwiese but at the same time you will have the opportunity to take part in the events offered by our holiday region. For example the wild herbs week, the midsummer celebration, the blueberry week, the blueberry party, the venison and mushroom week, the illumination of the spa gardens at Bad Wildbad. Most of these events are to reach in a few minutes on foot from Camping Müllerwiese!